This is a great site & app that helps save money at favorite stores, and most importantly, supports the Santa Fe Center for Spiritual Living. Not only does this site have the most powerful coupons on earth from every online store one could ever want (like Macy’s, Petsmart, and Target), but this site donates a percentage of each eligible purchase to SFSCL! You can sign up using this personal referral link and Goodshop will donate an extra $5 to the SFSCL when you elect to support Santa Fe Center for Spiritual Living) after you complete your first $25 purchase. And by using their partner site, Goodsearch, our Center gets a penny each time you search! What an easy and wonderful way to contribute to Santa Fe Center for Spiritual Living. Thank you. SFCSL earns a percentage of your Amazon purchase! Place your order of any kind. That’s it! And if you use your Amazon credit card, you collect points as usual. 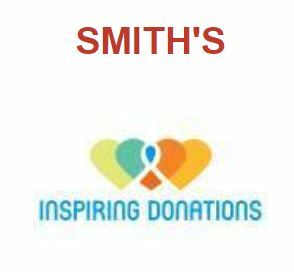 SFCSL earns a percentage of your Smith’s purchase! Follow the directions in this link to get signed up.